What better facility to learn the skills required to work in one of the largest industries in the world than at one of the top Swiss hotel schools. Two of the very best are the Swiss Hotel Management School itself and Les Roches, where programme’s range from a postgraduate diploma and Swiss higher diploma, right down to additional courses teaching basic (but required) languages skills. 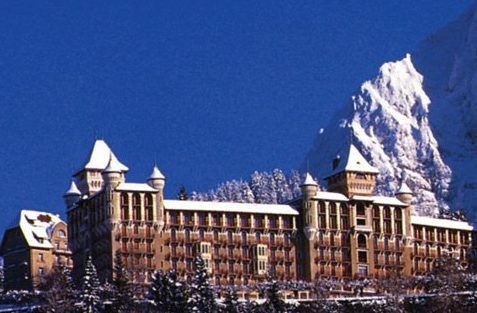 Fundamental hotel management training has been offered at SHMS (Swiss Hotel Management School) for over a hundred years, since the ‘Caux Palace’ luxury hotel was constructed. And Les Roches boasts a world ranking of second highest hospitality training school, in a global survey of five star hotels. Teaching a wide range of subjects, these top schools offer highly a acclaimed curriculum containing programme’s in tourism, hospitality and events management which include work experience (internships) right around the globe, including Switzerland itself. Combining theory and actual professional learning, students could earn a hotel management diploma in three years, a bachelor of business administration in four years, as well as sit a master of business administration in international hospitality management (finance and/or marketing) over the course of one additional year. A career in hotel and hospitality management is typically suited to people who enjoy working with and dealing with people. And because the hotel and travel industry is the largest employer in the world, basic and advanced language skills are also taught as part of curriculum. At the Swiss Hotel Management School, German, French and Spanish are taught as additional studies, next to the primary teaching language of English. Pre-study language classes in French, German and Spanish are also offered to students who have under the required entry level in these languages. As you can see, absolutely everything is thought of for students attending these top schools. During the semesters, and because of direct global links with the industry itself, students get to meet, question and learn from hospitality professionals at guest lecturer events. This is one of the keys to a successful and long career, along with networking opportunity doors which are opened by Alumni. To be considered for the Postgraduate and Masters programs in a Swiss hotel management school, applicants should already hold a higher education bachelor degree. Alternatively, you would have at least three years hotel management experience. However, to gain access to one of the lower programs, such as a BBA or diploma in hotel management, entry level requirements are reduced to applicants who hold a high school or IB diploma.